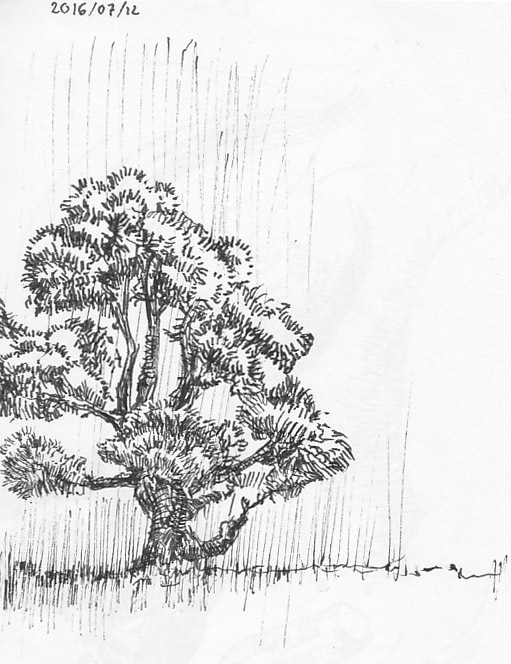 I'll post some sketches here every couple of days or so. 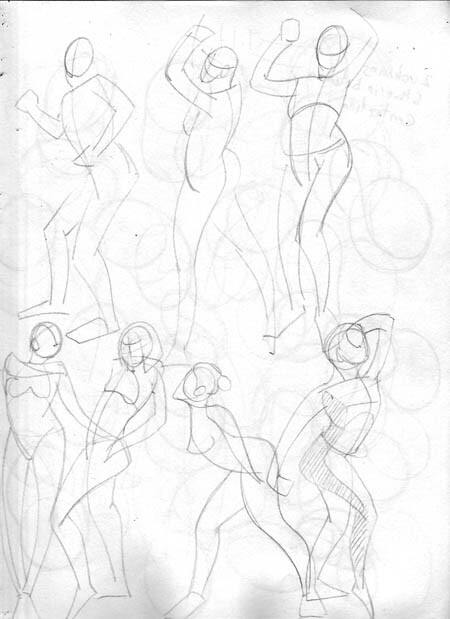 Short poses, gestures mostly, but also some construction attempts. 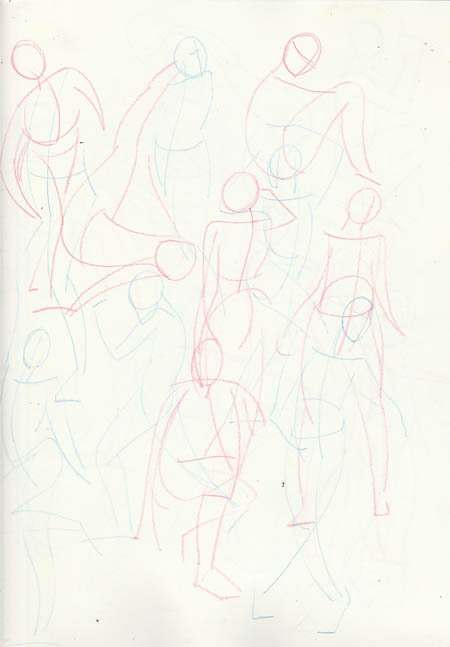 So after drawing 20 000 or so "gestures" I realized I had come to a point where they weren't even gestural anymore. I had regressed to a point where the lines put down on paper were mere stick figure "place holders", and devoid of any motion or flow. 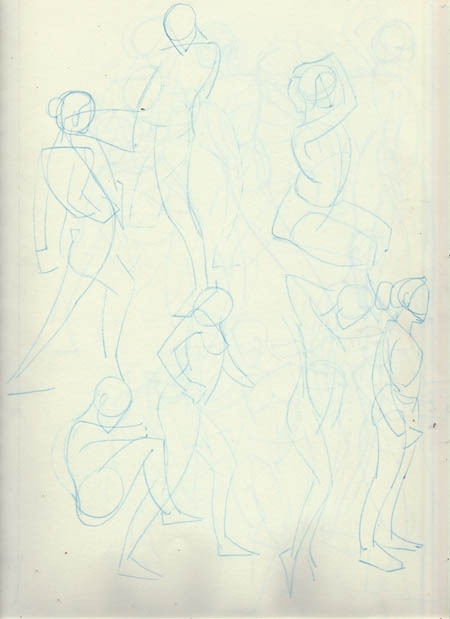 I'm studying Stan Prokopenko's Fundamental figure drawing, and watching the gesture part made me realize how far I had erred, hence those drawings. 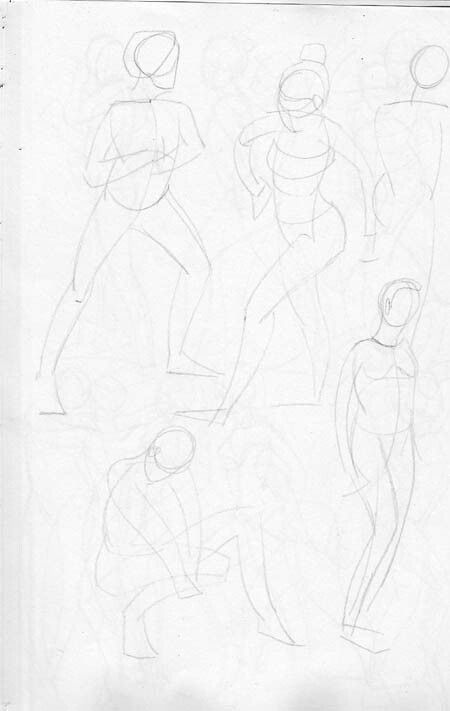 These are 1 or 2 minute poses. 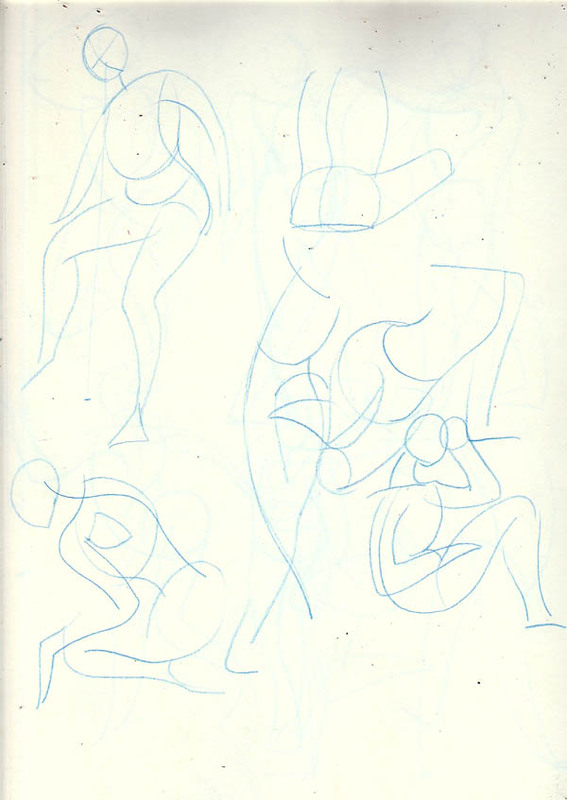 I watch the videos numerous time in slow motion, drawing along and trying to see the thought behind each stroke. What struck me this time around was how much measuring (angles, negative spaces and such) there was this early in the game, and how much of it is dependent on assessing the purely 2D qualities of the pose (like how this part is wide as compared to this other part or such) I also noticed just how poor I am at this, how little control I have over the actual lines I put down. It's almost as if instead of the brain giving the arm a command the arm starts moving on it's own and the brain tries to catch up. 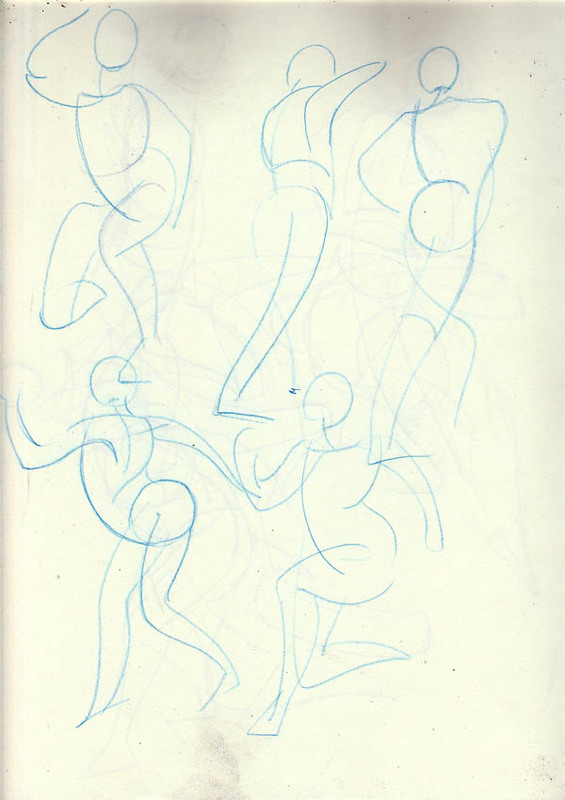 Another observation which seems like somewhat of a contradiction concerning this method is this: gesture is supposed to capture the motion, the flow of one part into another. Glenn Vilppu compared it to a river current chart, and all around the mantra goes of "not copying the contour" and going for the motion. Yet those "not-contour-lines" we put down begin and end at the same spot as the contour lines on the model do, and define the outside edge of the gesture. So instead of the stiff stick figure gesture we now get the blind contour-ish gestures. Anyone have any thoughts concerning this ? Thanks for commenting, your own recent gestures combine form and motion quite nicely, and with line economy. The shading reinforces this quite well by showing where different parts are facing. Really like the characters attitude that show through. 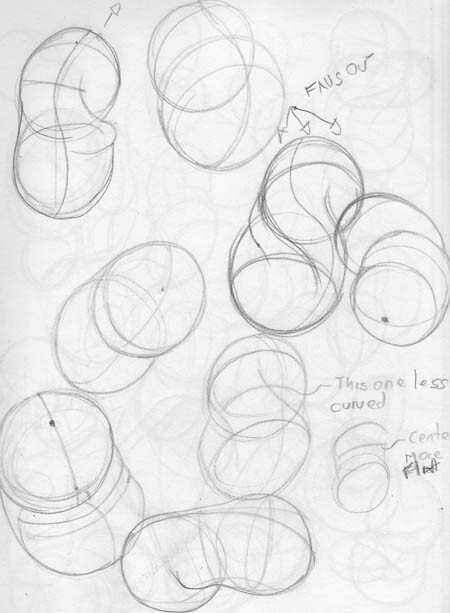 I've drawn a few more dozens of these gestures and again can only marvel at just how little I have been considering the whole 2D design thing until now. 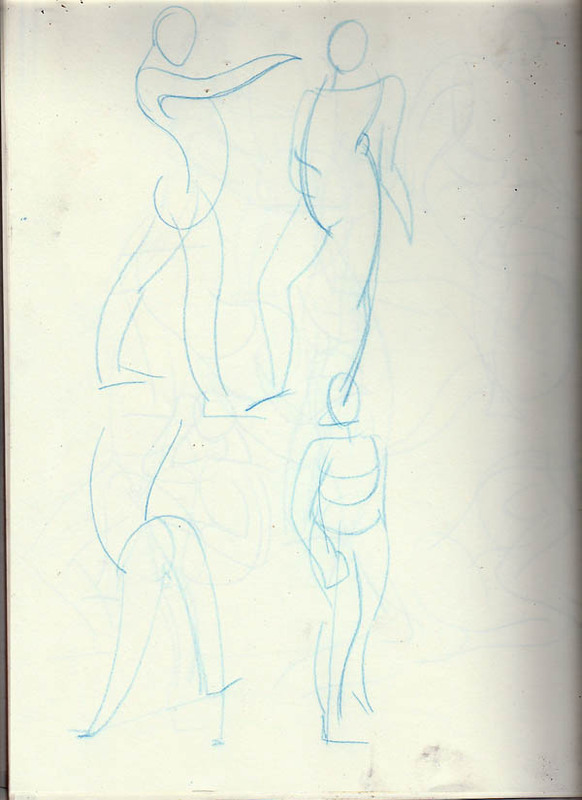 I thought with a central axis and basic volumes I would eventually gravitate towards an outline that shows form, with somewhat passable proportions. Yet it seems those volumes must themselves be firmly grounded in the actual contour of the figure, or the volume information that this contour represents. I actually don't recommend gesture drawing as a starting point tbh. 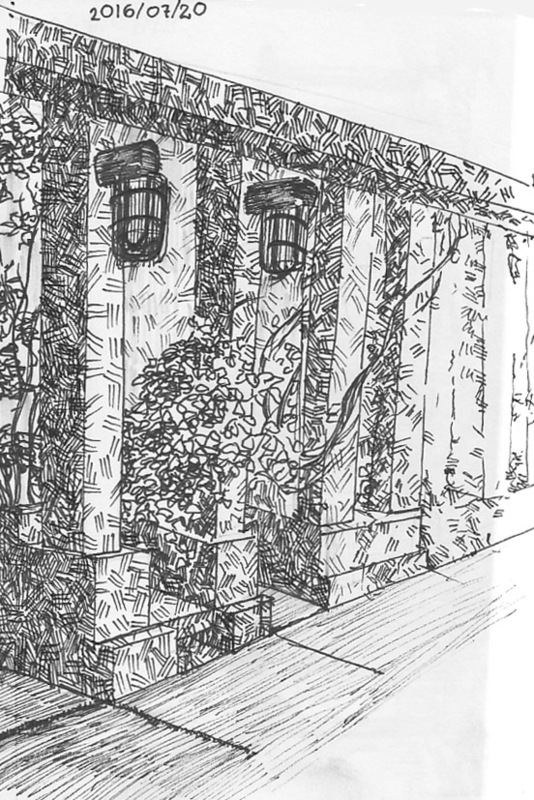 I personally think it's better to start of learning how to accurately copy just using 2d techniques, and also how to draw in perspective using rulers and vanishing points, and once you have a good handle on these things and start to combine them in the same drawing, you can go back to gesture drawing. And Draw a Box for perspective. I feel the same, the whole 2d design thing has to be one of the missing links here. 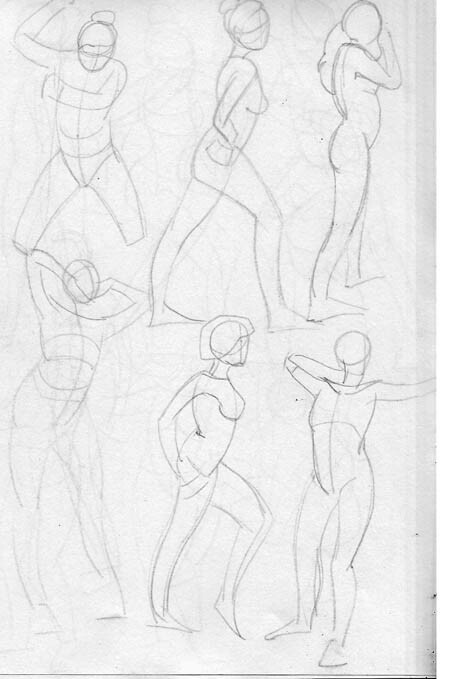 I will incorporate longer poses into my routine from now on, focusing on the classical approach and it's myriad techniques for reproducing shapes accurately. Thanks also for those resources. 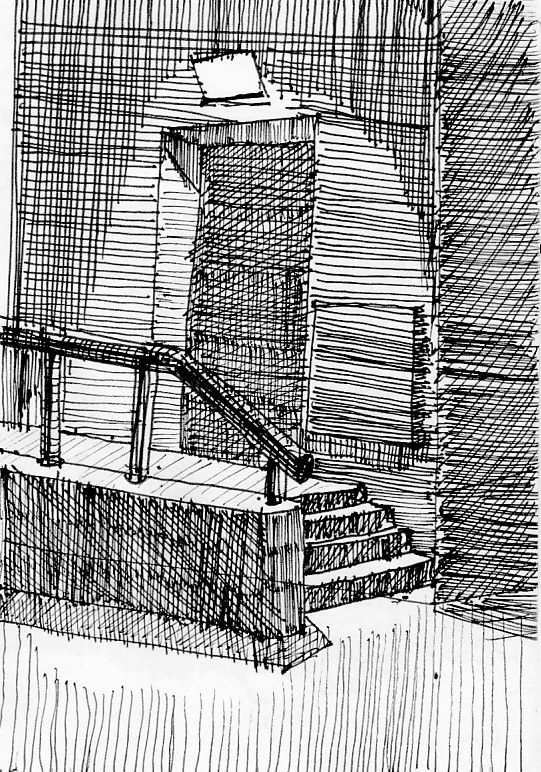 I have been looking at Draw a Box for a few months now, and have worked 1 hour of drawing lines, boxes and ellipses into my daily routine. The guide for accuracy is new to me, and looks quite promising a tool to tackle the challenges ahead. 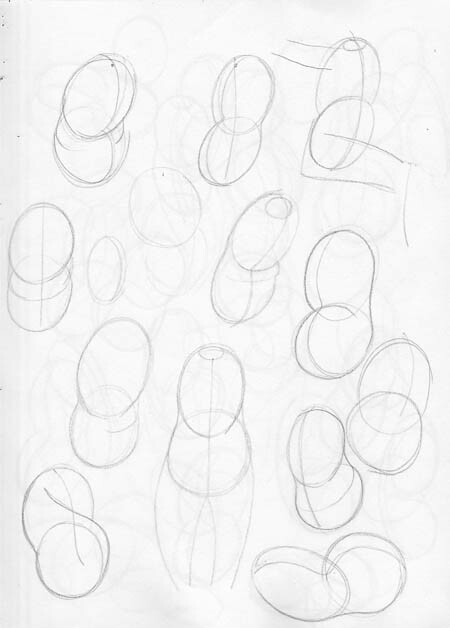 Just this once I wanted to share with you how a typical drawing day works for me. 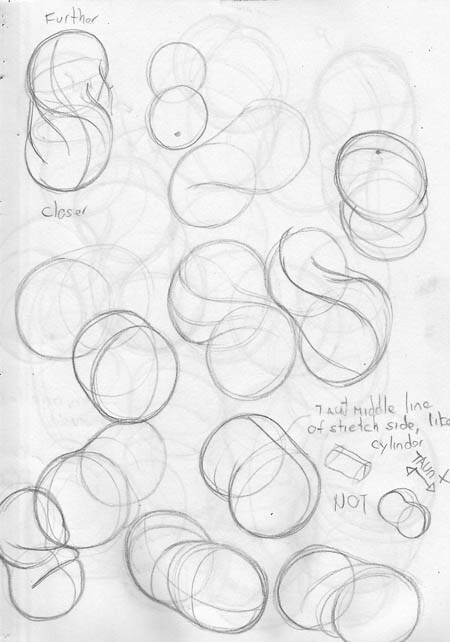 I start the day with the usual routine of drawing lines/ellipses/boxes for 1 hour. Won't include those here to alleviate an overly long post. 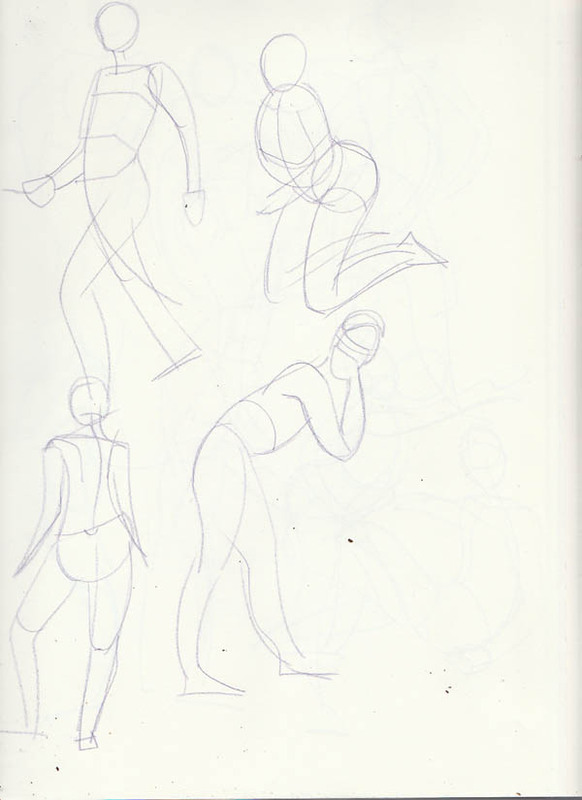 Then it's time for some gesture drawings, some 1 and then 2 minutes poses. At this point the sloppy design and indecisive line quality are already getting to me. 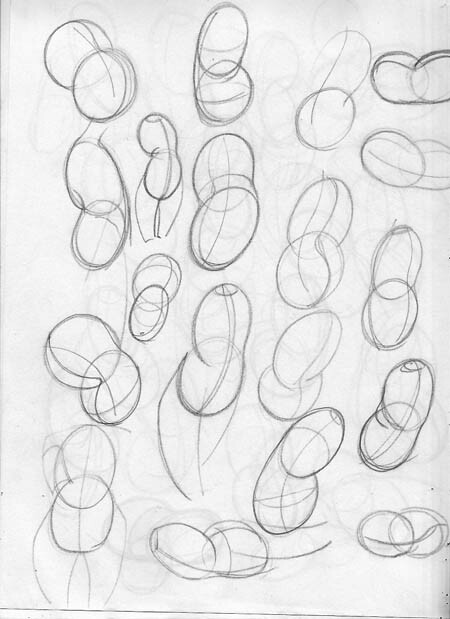 I opt for a tactical retreat to the realm of theory, and watch Propopenko's "bean" video and give it a try using 1 minute poses as references. As I grind down on Proko's beans, I am all too aware of the fact that this technique is quite familiar to me. I learned it in 2012 at drawingtutorialsonline.com. The thought that 38 sketchbooks have gone by since while delivering so little improvement gives me sweaty palms and accelerated breathing, and my line quality further deteriorates as a result. Doggedly, I try to rationalize the problem. My lack of ability to place the middle line is a clear clue that I'm having issues perceiving overlaps on the models. 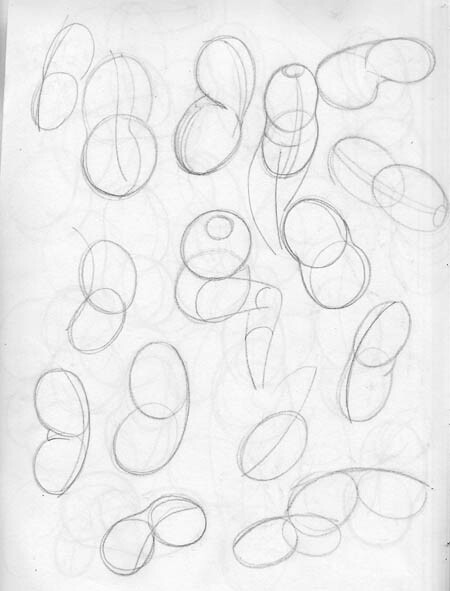 I leave the poses aside, and watch Proko draw some more beans to cool off. 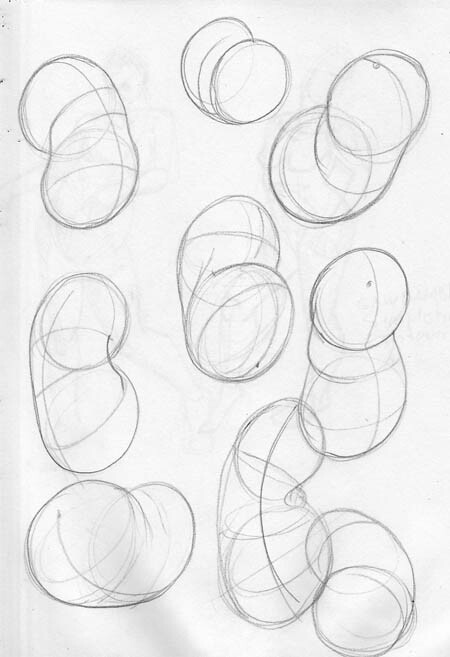 I then take two foam balls and stuff them in a sock, twisting and pinching them, and trying to draw from that for a while. The folds created by twisting the sock seem to entice me with the promise of some insight into form, some clear answer to the ever elusive question of "what goes in front of what ? 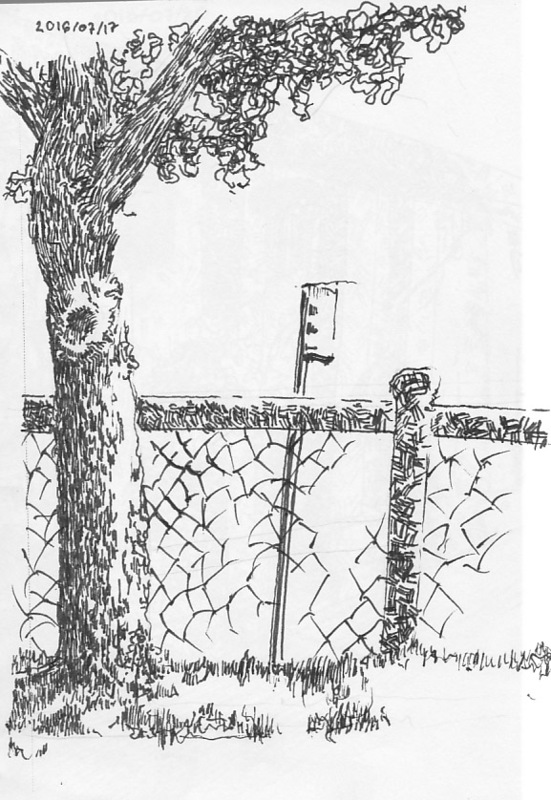 ", which I chase for an hour or so before realizing that I am mostly just copying the twisting lines I see on the sock. Whatever great truth about form and overlap I had been hoping to find at the bottom of that sock had eluded me yet again. What I longed for at this point was a respite from the unassailable intricacies of form and the space it occupies. Some purer form of drawing where I could, unburdened by the need of rationalization, be fully in tune with my raw physical limitations. 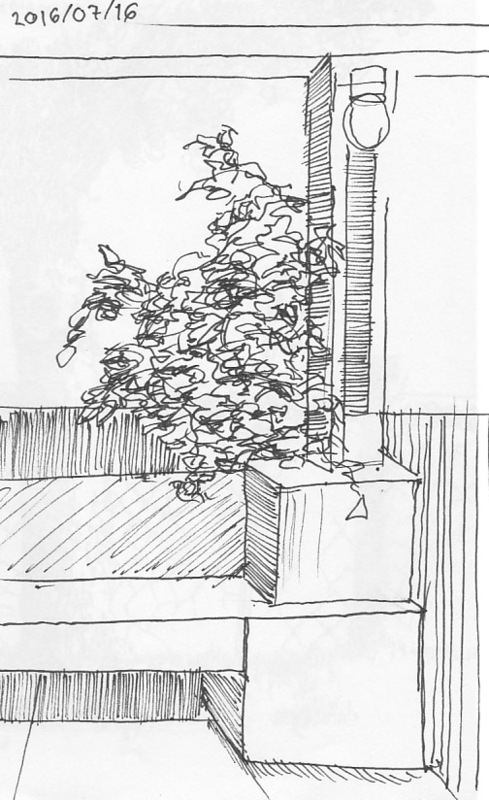 It was time for some observational drawing. As I brush aside today's failures to meet another day of drawing with a hopeful twinkle in the eye, I can't help but wonder how many days exactly like this one lay ahead before I start improving. It seems just yesterday I was a teen practicing to get good so I could make some comic book and whatnot. 25 years have come and gone, and I can still recall that guy in my class when I was 12 years old who could draw much better all these years ago than I can today. First of all, no 12 year old can draw like this, so that statement is way too harsh. A wise man once said only a fool repeats the same actions expecting a different result. If you want to actually improve, you know that what you are doing isn't helping. Seriously, watch the accuracy guide a linked, and actually put a ton of effort into that. I promise that it will start you on the path for what you seek. Slacking off on figure drawing for a while to preserve some sanity. 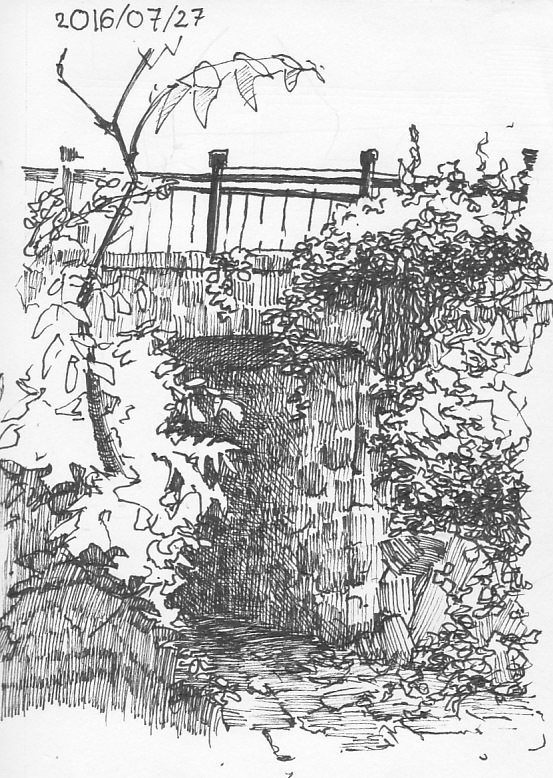 Decided to try my hand at urban sketching, and exploring different types of hatching I watched some videos by Alphonso Dunn to start me off. Enjoying the process, had been many years since I had any pleasure in drawing, I had forgotten how it feels like. Gotta enjoy that initial learning curve when you can see progress from one drawing to the next. I feel I made more progress in 8 drawings than in 800 pages of awkward figures. Nice sketches man! I'm glad to hear you found joy in drawing it again. 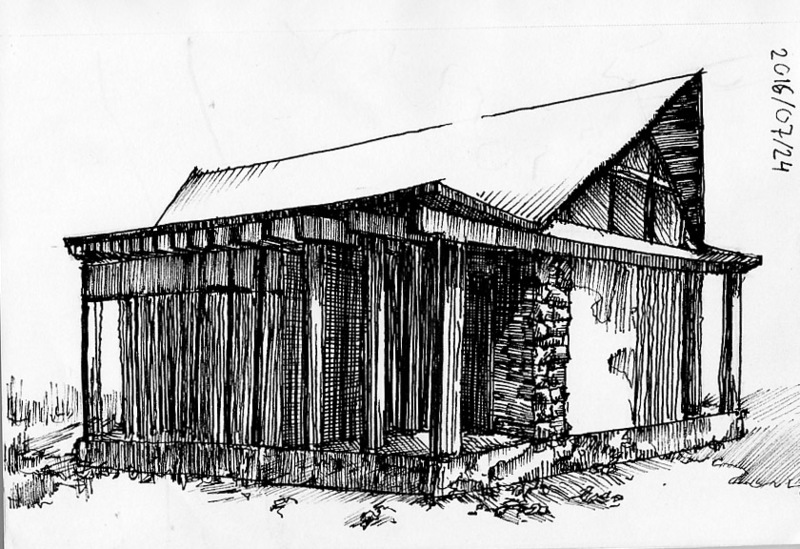 I really like how you built up texture by stacking lines. I particularly like your drawing of the house. It has a great feeling of depth and scale. nice drawings. keep it up and always have fun! Thanks to all for the appraisals. 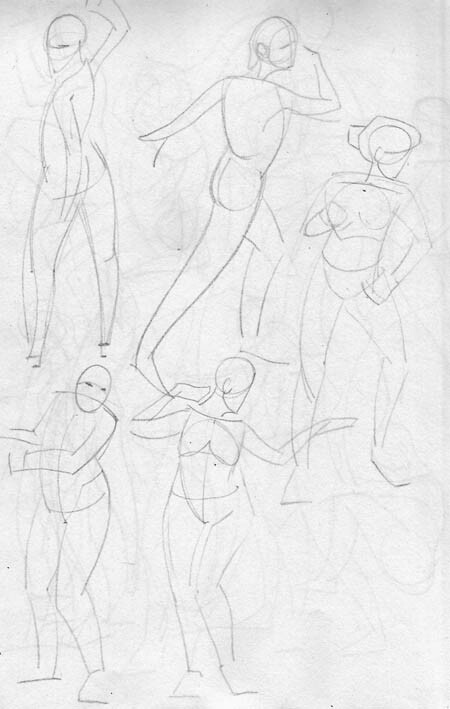 Funny how I can show those 8 or so drawings without shaming myself yet I would struggle to find 8 figure drawings among my 7800 pages of crap that I could say the same.